* Programs do not include the cost of race entry fees, USAT membership or USMS membership. We provide the motivation and guidance for the beginner through advanced runner who is looking to improve their performance. Our certified coaches are experienced athletes who have a passion for teaching. Our coaching style is “cooperative” meaning that we share in the decision-making process. 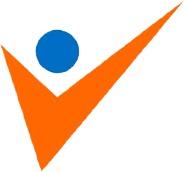 Volte Level Blue: For the individual looking for a completely customized training plan and ongoing, weekly coaching support to reach his/her desired races and goals. Volte Level Orange: While still customized to each individual this plan is a little less “hands on” than our Blue level. This program is designed to offer individual attention at a group program price. Group Programs - With our individualized schedules we offer more flexibility than the traditional group program. Our training is on-going, year round, with participants training for many different events and distances. Our orange level training takes the place of a group program. We currently meet weekly and have a group of very special athletes who across the board love, respect and encourage each other. Guest Policy - All of our runs are open to the community. There are no fees for guest runners (guest runners don’t receive coaching).